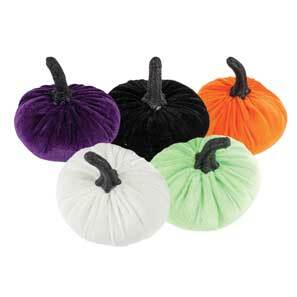 • Velvet pumpkins measure 4.5”. • 5 assorted; 5 Orange, 4 Black, 3 each Cream, Purple, and Lime. • 18 per counter display PDQ, $1.25 each.